The Great Eastern Ceilidh Company is a five-piece Cambridge ceilidh band. 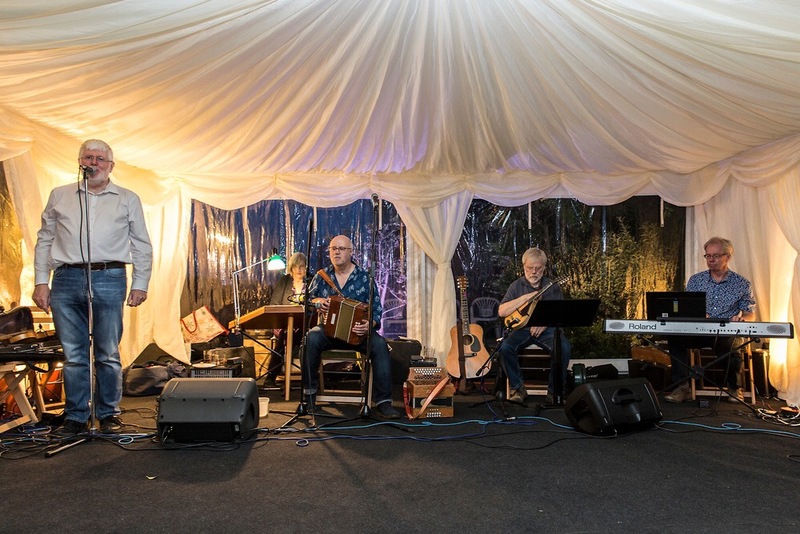 We’ve been playing ceilidhs, barn dances and folk clubs in East Anglia for around thirty years. Over that time, we’ve played most of the village halls in Cambridgeshire, many of the Cambridge colleges, local schools, sports and social clubs, weddings and birthdays, May Balls and village fetes, festivals and street parties, Burns’ nights and Harvest Festivals. We’ve also played folk clubs in the Eastern region, most recently the St Neots Folk Club, Cambridge Folk Club (supporting Kathryn and Mike Tickell), and the Mayflower Folk Club. We play an exciting mix of English, Irish, Scottish, Northumbrian and Shetland tunes. Unusually, we have two very experienced callers, who take turns calling the dances and playing the tunes. 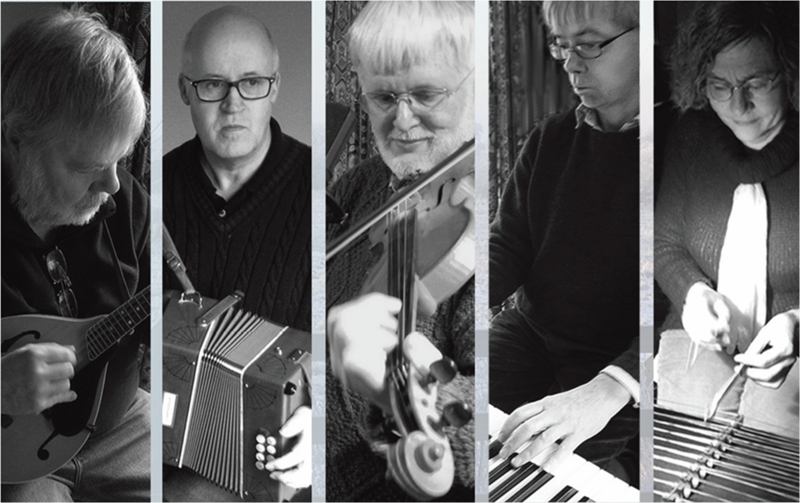 Our folk clubs gigs feature songs and tune sets, and an interesting range of instruments including fiddle, hammered dulcimer, melodeon, mandolin and Northumbrian small pipes. On this site, you can find out how to book us for your ceilidh, barn dance, party, or folk club. You can get a taste of the kind of music we play, our recordings, and what we’re up to in the world of music. You can also find advice about running a ceilidh. And you can read the story of our gigs on the gigs blog. Listen to a taster of tracks from our recent CD, Cold Fen. These are songs and tunes we play for listening in between dances (see the Bookings page for examples of dance music). And watch a video of the title track, Cold Fen (followed by Shove the Pig’s Foot Closer to the Fire, and Tom Cronin’s Homework).